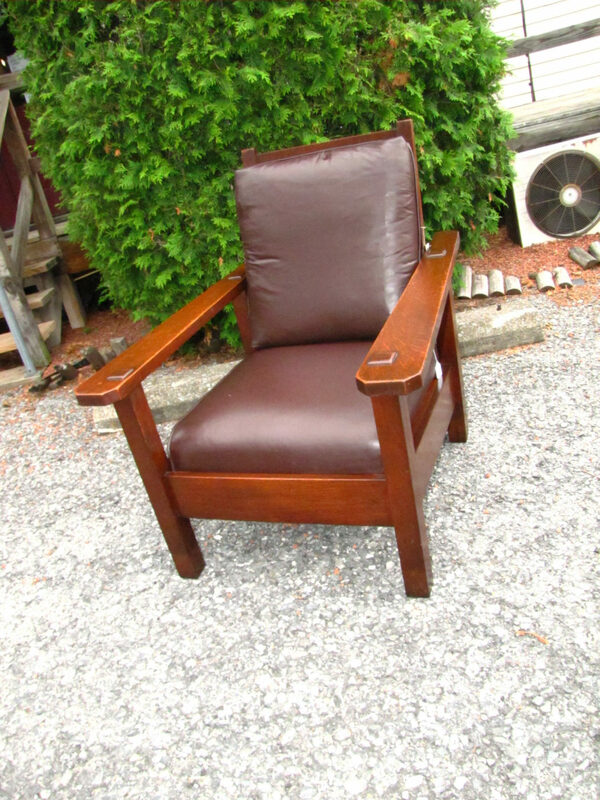 This is stickley brothers Morris chair Mission A&C from the early 1900s In excellent condition with original finish with light overcoat. 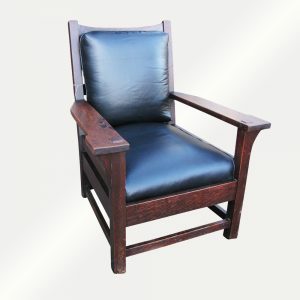 The chair is with no repairs, cracks or replace parts sturdy and strong with recovered the seat and back with top quality reddish leather with 100% cotton fill(no cheap foam). 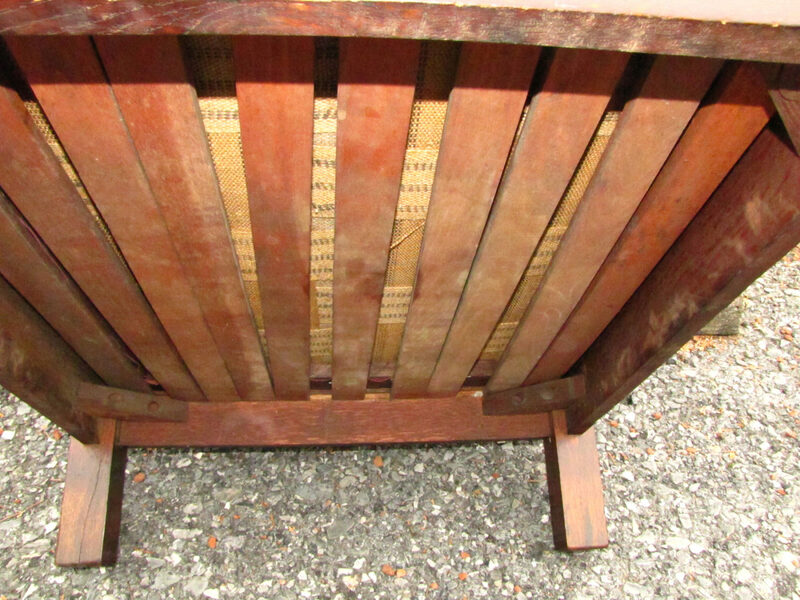 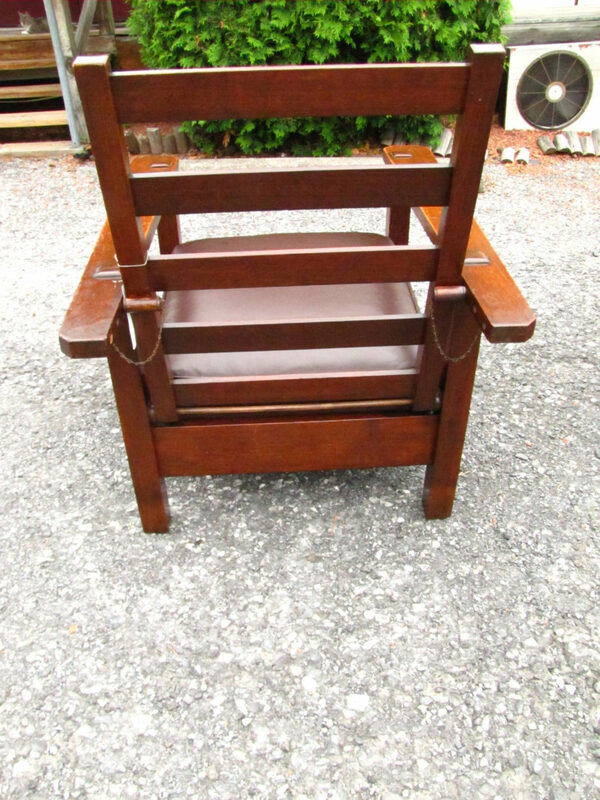 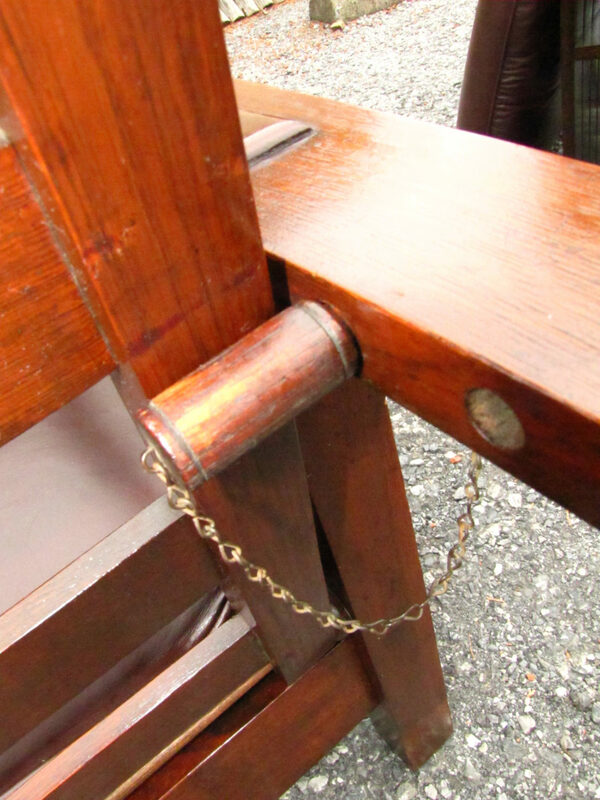 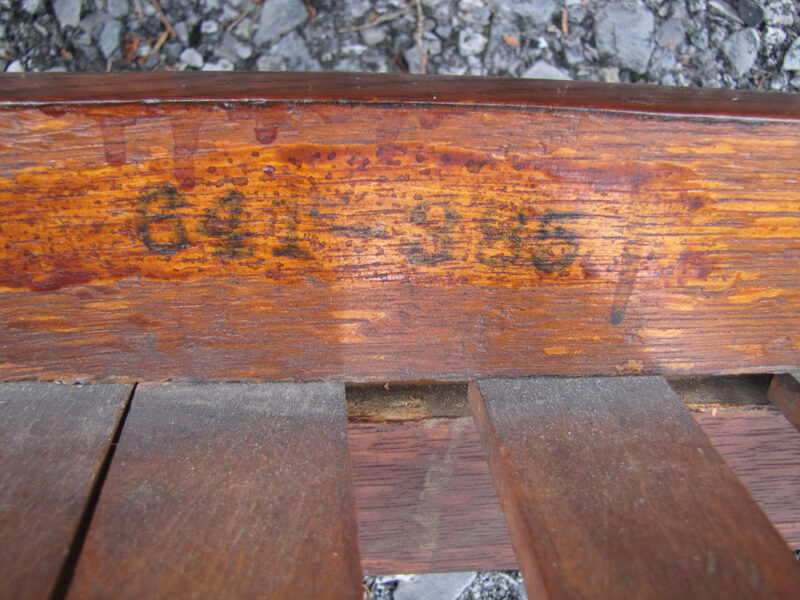 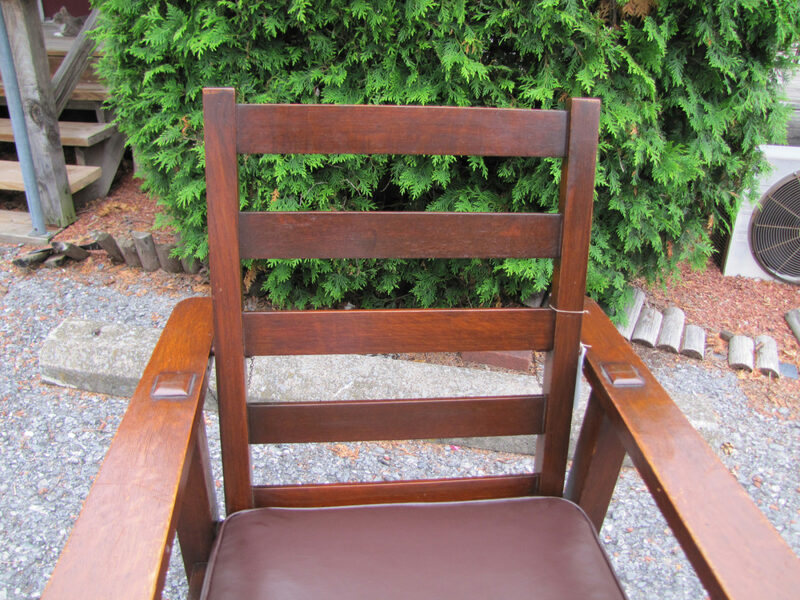 The chair is model 641-385 as pictured, with original pegs and wooden washers, it?s a nice form, long arms and narrow seat. 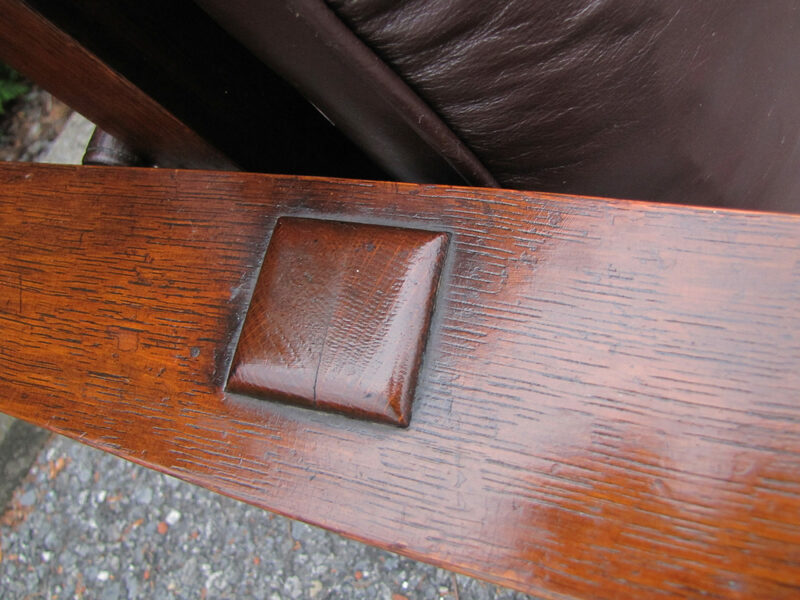 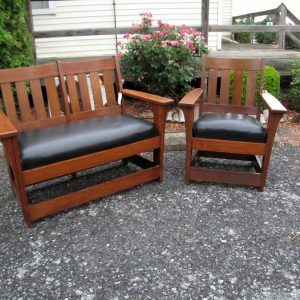 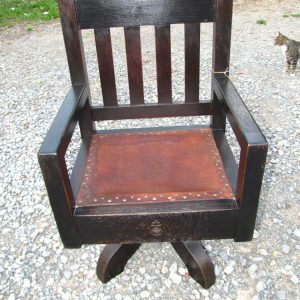 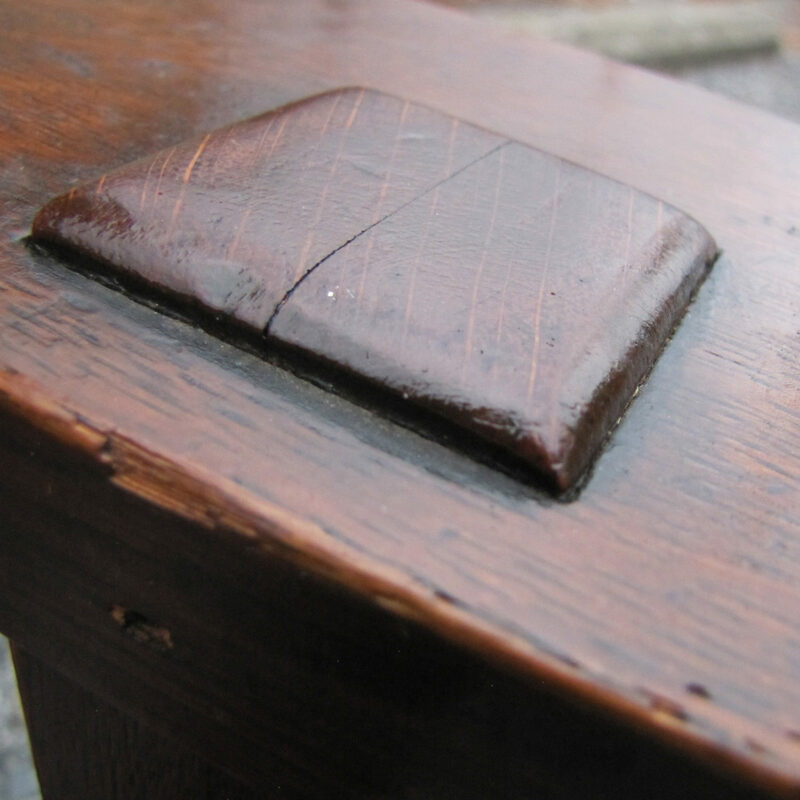 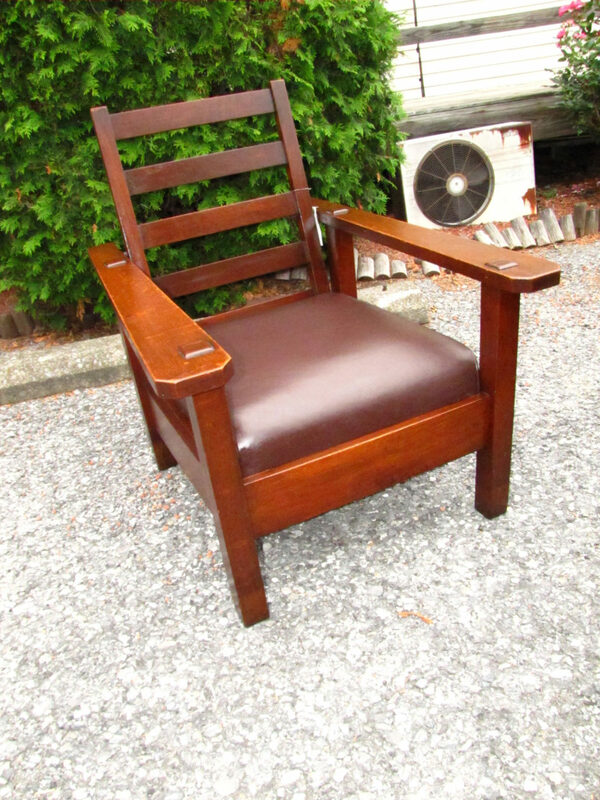 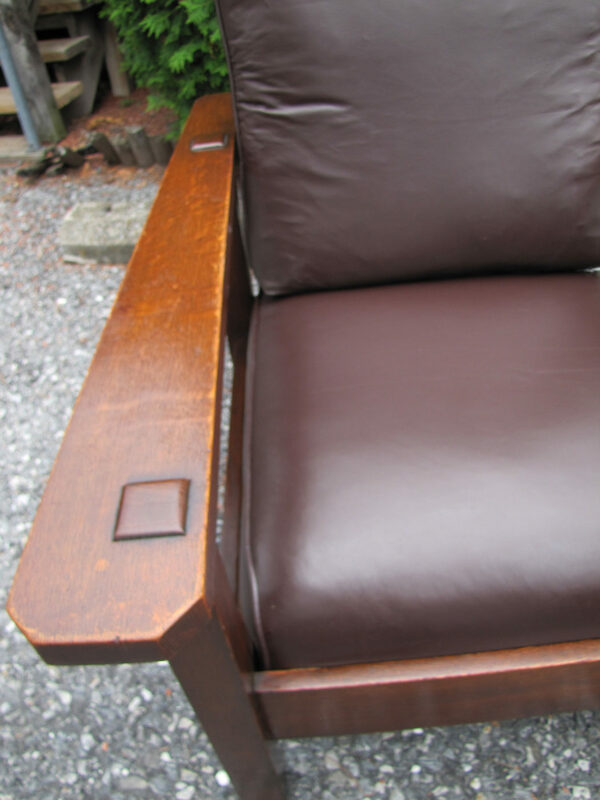 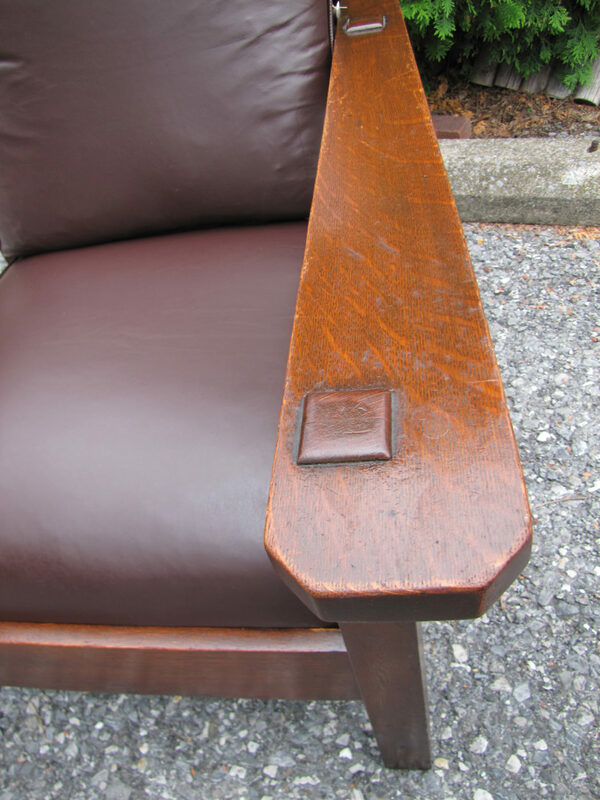 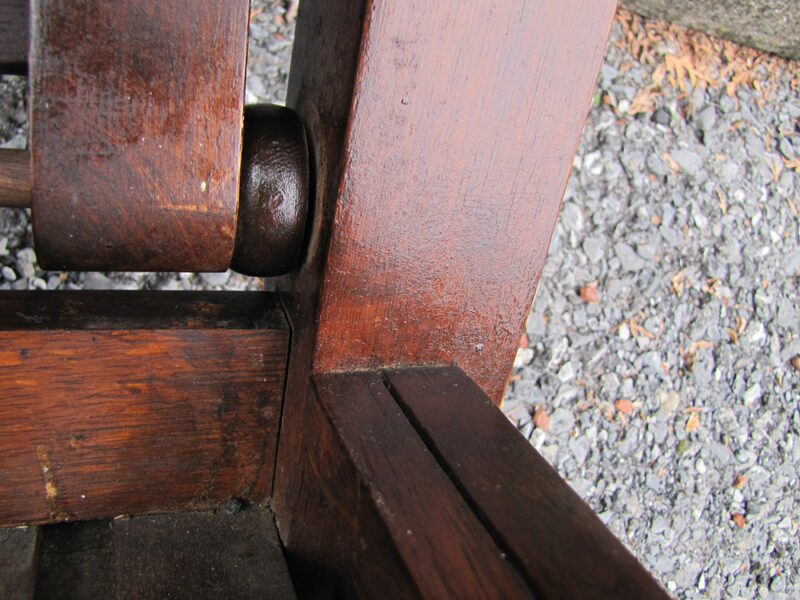 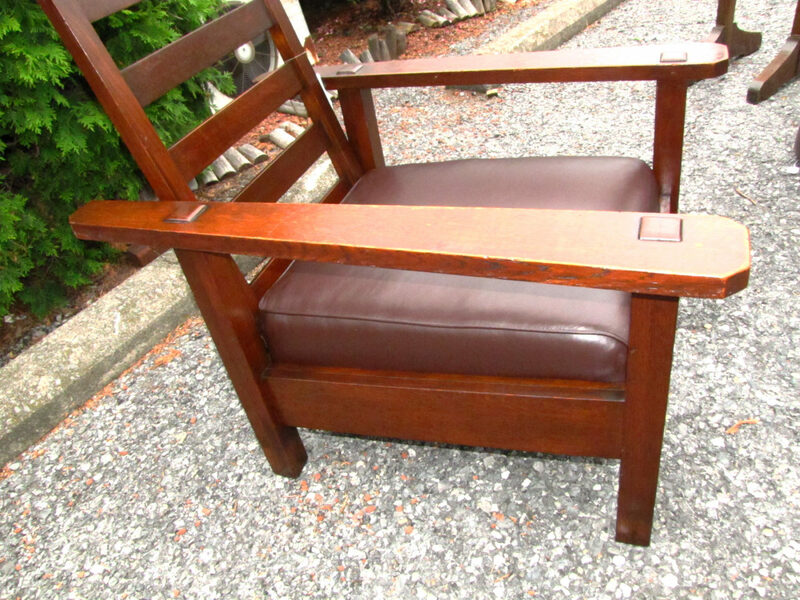 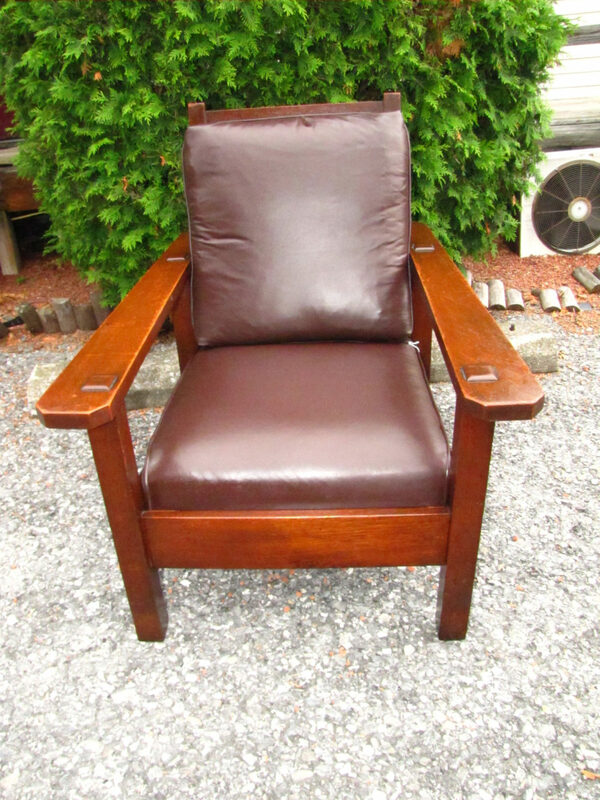 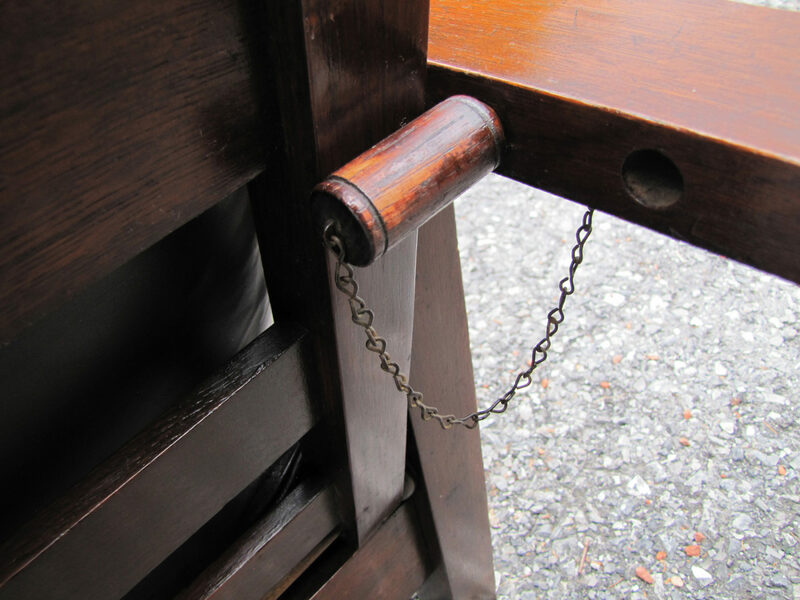 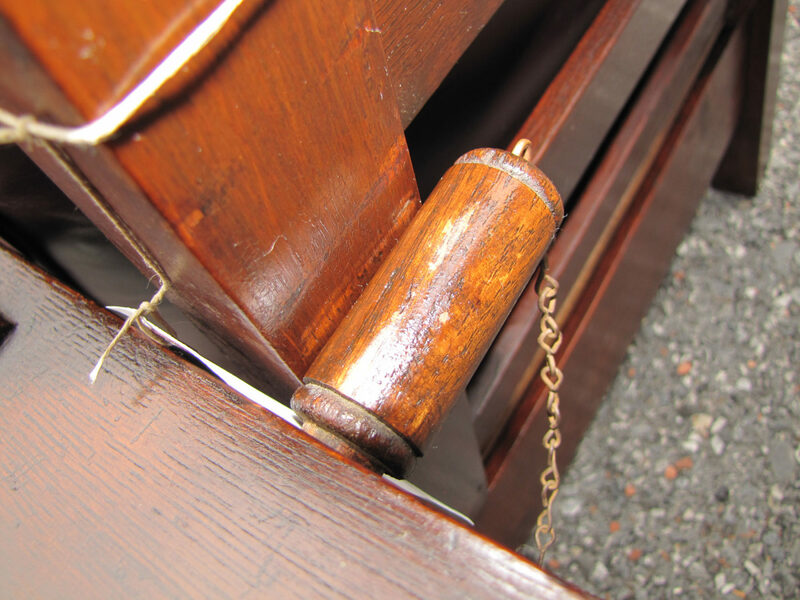 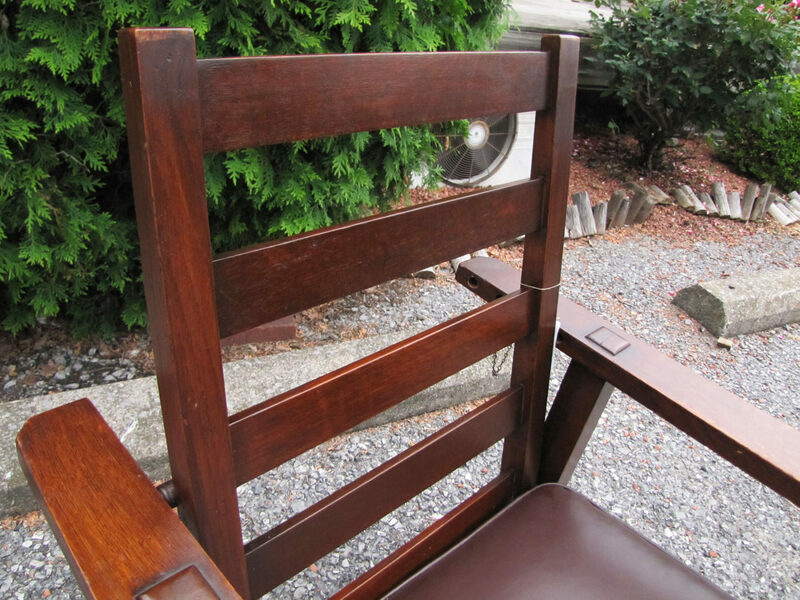 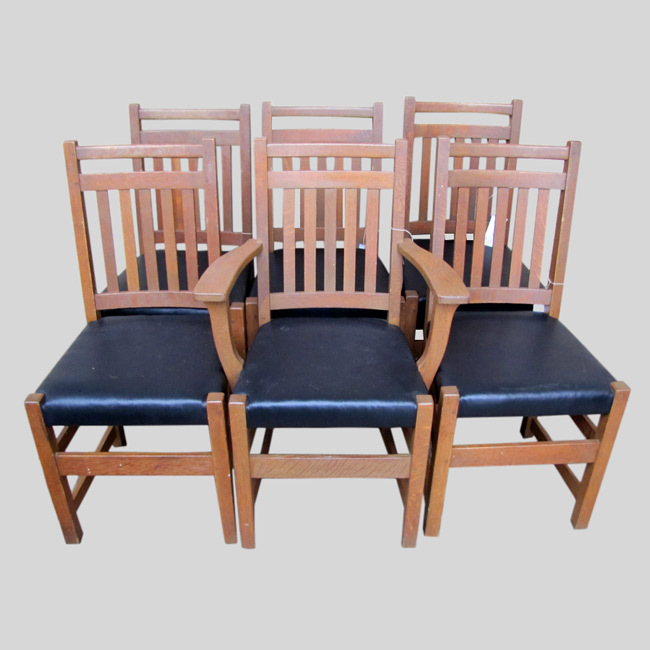 The chair is sturdy and strong and we recover with top quality leather….